As the temperatures – finally! – fall across the Valley, there’s no better time to buy the patio furniture of your dreams. And you don’t have to shop at that big box store to make sure you’re caught up with the latest trends. At Encore Consign & Design, our selection of luxury consignment furniture and home decor is always changing, but stop in to see how we can help you create a patio that’s comfortable, inviting – and up-to-date in the most important ways. Comfort doesn’t have to be limited to the living room. The days of hard-edged wire patio furniture is long past. Summer 2017 is the time to be bold with your pattern choices! Try a classic striped cushion or a cheery floral pillow to punch up your look. Everything old is new again, and nowhere is that more true than at Encore! 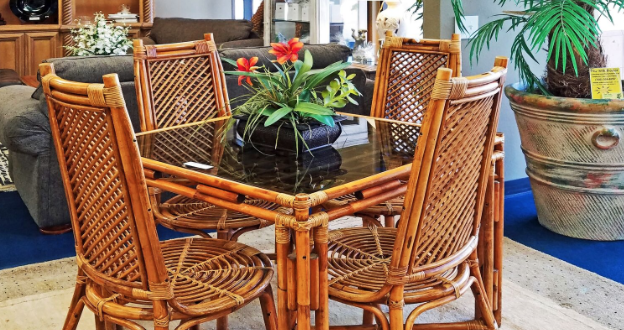 We have a wide selection of almost-new patio furniture that has the classic silhouettes of a treasured family heirloom. Wicker and metal and stone, oh my! Daring to mix up your materials palette will give your patio texture and an eclectic touch. Choose accessories and outdoor lighting. Creating an inviting patio doesn’t end with your furniture selection. Add personal touches like faux floral arrangements, outdoor lighting or other pieces to make your patio stand out from the rest. Not sure where to begin? 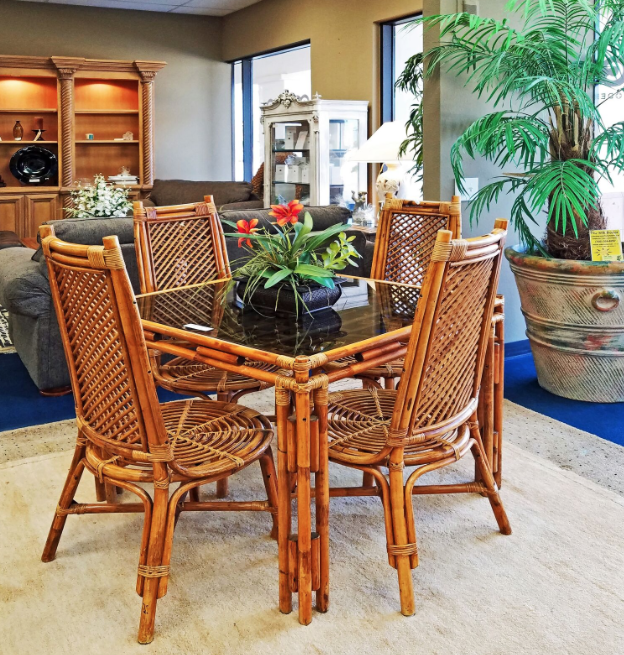 Stop by our La Quinta showroom or give us a call today! Our interior design team can’t wait to help you get started.